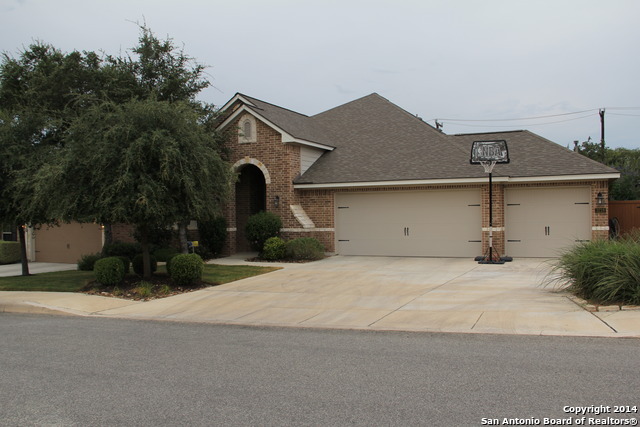 All THE PRESERVE AT ALAMO RAN homes currently listed for sale in San Antonio as of 04/22/2019 are shown below. You can change the search criteria at any time by pressing the 'Change Search' button below. "Beautiful from the inside out! $1500 towards appliances if offer received in March 2019.This well maintained home features 4 bedrooms, 4 baths, a study, formal dining, 4th bed could be used as a game room or 2nd master. Attractive landscaping, tile floors, granite counters, built in appliances, an island, plenty of cabinet storage, plantation shutters throughout & a large master bedroom w/ bay windows. **2K to buyer to change out master shower. **"
"!! FRESH PAINT & FRESH CARPET !! LARGE 5 BEDROOM, 4 FULL BATH W/GAME ROOM. THIS 2 STORY HOME HAS THE MASTER BEDROOM UPSTAIRS WITH A SITTING AREA AND A FULL BEDROOM AND BATH DOWNSTAIRS. FANTASTIC VIEWS OFF THE MASTER BEDROOM AND REAR OF HOME. BEAUTIFUL INTERIOR INCLUDE A GAS FIREPLACE WITH A CUSTOM STONE SURROUND. 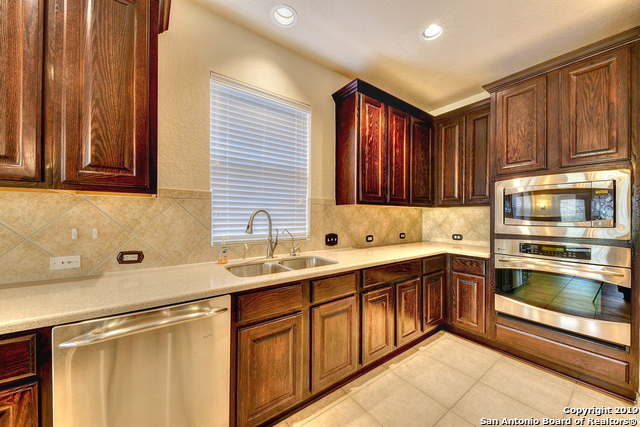 GOURMET KITCHEN WITH STAINLESS STEEL APPLIANCES ENHANCED WATER FILTRATION. LARGE EXTENDED DECK WITH PERGOLA & DETACHED STORAGE/OFFICE/SHOP. PLAYSCAPE & MORE CONCEALED STORAGE UNDER D"
"Open house 4/20/2019 2-5pm THIS GATED COMMUNITY HOME IS ENCOMPASSED WITH GRAND VAULTED CEILINGS LEADING INTO A BREATHTAKING KITCHEN SPECIFICALLY BUILT FOR A CHEFS DREAM! THE MAIN FLOOR HAS EXQUISITE TILE THROUGHOUT ALONG WITH WOOD FLOORING IN THE SEPARATE DINING ROOM! ENTERTAIN YOUR GUESTS AND FAMILY ON YOUR COVERED PATIO WITH EXTENDED OUTDOOR LIVING, ENJOYING YOUR CORNER LOT! POOL! OPEN HOUSE THIS SUNDAY APRIL 14, 2019 FROM 2-5PM." "Beautiful 3 bed 2 bath home in a gated community. This home backs up to a greenbelt and features numerous upgrades that include stunning wood and tile floors, beautiful windows that allow lots of natural light, 3-car garage, open floor-plan, all kitchen appliances included, study/office, elegant private dining room, water softener, and sprinkler system. 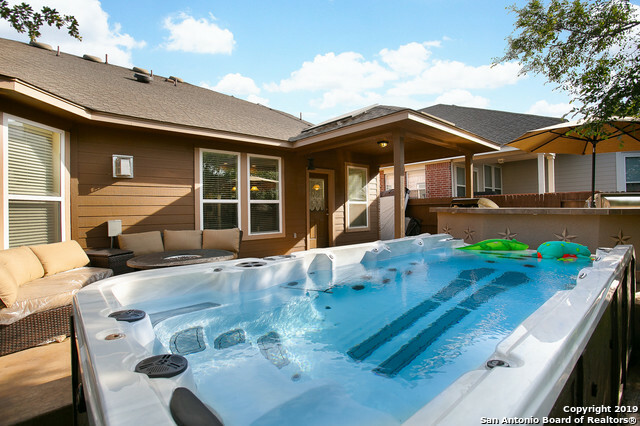 This home is located near Lackland AFB, Sea World, and numerous shopping centers."